In electronics, solder is used to connect two parts together. As a bridge, one of its most important functions is to transfer heat away from critical electronic components and toward the heat sink, which uses air or water to safely dissipate heat. As technological advances allow for the creation of smaller and more powerful computers and electronics — and with temperatures in computer chips reaching higher than 100°C — this heat dissipation function has become more crucial than ever. Conventional solders are limited in their ability to conduct heat effectively over a long lifetime, making heat dissipation an obstacle for further computing and electronics development. If these fields are to advance further, this crucial bottleneck will have to be overcome. 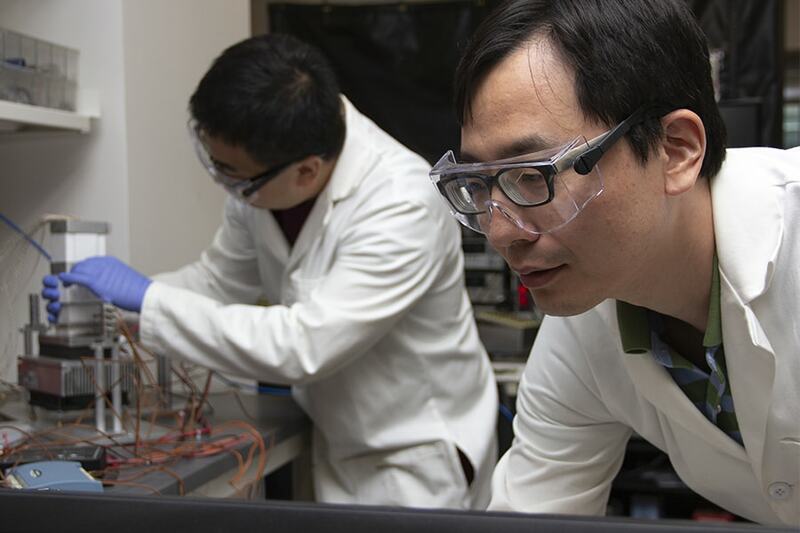 The product of a 2013 DARPA Young Faculty Award, supersolder is a thermal interface material developed by Shen, an associate professor of mechanical engineering, in collaboration with researchers from the National Renewable Energy Laboratory. Four years of work have resulted in the creation of a material that can fill the same role as conventional solders but with twice the thermal conductance of current state-of-the-art thermal interface materials. 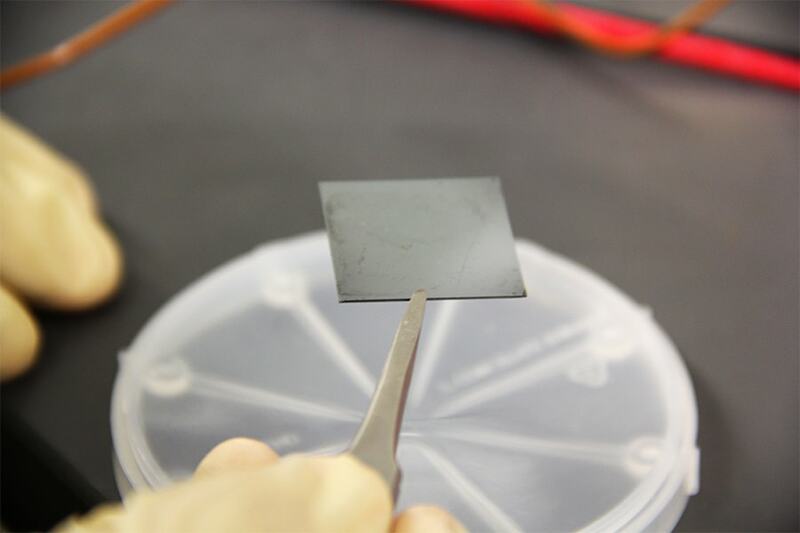 "The nanowires are grown from a template, like a mold, using small pores," Shen said. "It's chip technology using electroplating, grown one layer at a time, like how you coat an electrical cord by dipping it into electrolyte." The resulting array exhibits remarkable thermal properties, unparalleled by any current solder materials. It's not just its thermal conductance that makes supersolder unique. An experiment his team conducted matched a supersolder assembly against a conventional solder assembly of tin. While the conventional solder began to decline in thermal conductance after less than 300 hours of cycling, the supersolder continued to operate at peak thermal conductance after more than 600 hours. In fact, it performed so well that its exact limits are unknown. "We know it can keep going," Shen said. "The only reason we ended the experiment was because we had to publish the paper!" Supersolder could replace conventional solder in electronic systems ranging from micro- and portable electronics to warehouse-sized data centers, reducing temperatures to enable significant improvements in power density and reliability. Anything conventional solder can do, supersolder can do better - almost. While Shen is very pleased with the results from supersolder, he still sees room for improvement. The material is electrically conductive: an attribute that is undesirable in certain applications. His next goal is to create a version of supersolder that can retain its thermal conductance while acting as an electrical insulator. "The idea is very simple: you have a challenge, and you keep trying until you make it work," he said. Mechanical Engineering faculty member Sheng Shen describes his work developing low-density, multi-functional materials that have a broad range of applications in aerospace, automotive, and biomedical technologies.